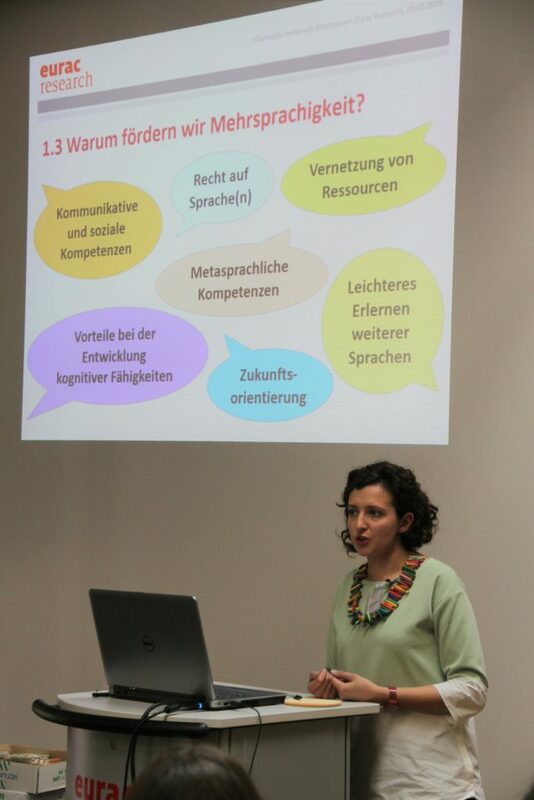 Many teachers will have asked themselves “how should I address the topic of languages in my multilingual class?” “What materials are there that I can use?” On 29.03.2019, we opened our doors to over 75 guests to answer these questions. The SMS project team presented 1 interactive travelling exhibition, 10 workshops and 21 activity boxes to teachers and researchers at Eurac research Headquarters in Bolzano. Guests could also visit stands in the first fair for materials on multilingualism in Alto Adige! The fair showcased all of the many tools that have been developed over the course of the SMS project, which aim to give value and importance to all of the languages present in today’s classrooms. Among the stands were many videos, presentations, information packs and most importantly, lesson materials. 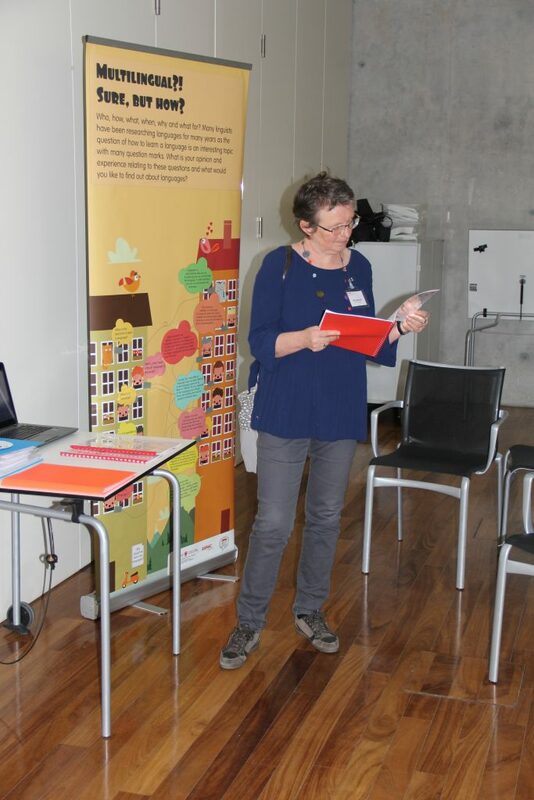 Guests could also exchange experiences with our “special guests” – teachers with experience in carrying out activities and projects about multilingualism with their pupils. Here are some snapshots from the day!